Sabre said it has downgraded its listings of American Airlines fares in most of its displays and has taken steps to terminate its agreement with the airline. The GDS said it has taken these actions because American is attempting "to impose a costly, unproven and unnecessary system" on travel agencies and corporations, including withholding fare content from Sabre. Sabre said it notified American that it is “de-preferencing” the airline in its displays and raising its bookings fees. 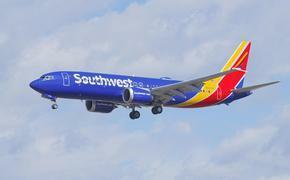 The GDS said it has also notified American of its intent to terminate its contract with the airline. The earliest that contract could be terminated is August. Sabre’s move comes after American pulled its fares from online travel agency Orbitz, which is partly owned by GDS company Travelport, and after Expedia subsequently dropped American's fares from its screens. So far no other GDS, including Travelport or Amadeus, has dropped American's fares. In response to Sabre's action, American said it has met all its obligations and continues to work in good faith with Sabre. It called Sabre's move an effort to bias "its shopping displays" which it said is "anti-consumer, anti-competitive and harmful to its subscribing agents." American said Sabre's actions are "discriminatory and patently inconsistent with both its contractual obligations and its professed goal of ensuring full transparency for the benefit of consumers and travel agents." American also said Sabre's move only serves "to protect Sabre's market position and attempt to force airlines and travel agencies to rely exclusively on its legacy systems that only lead to higher fares and fewer choices for consumers." American said it is committed to working with all efficient distribution channels, including traditional travel agencies, online travel agencies and global distribution systems." American said all its fares and schedules, including those for American Eage, "are widely available through a number of outlets, including American's own website, AA.com, which features our Lowest Fare Guarantee, as well as through American's reservations agents, thousands of travel agencies in locations worldwide, online travel agencies such as Priceline.com and metasearch engines such as Kayak.com." For more information, visit www.aa.com or www.sabretravelnetwork.com.